Often used for acclimatisation and as a warm-up climb for Mount Kilimanjaro, the second highest mountain in Tanzania is well worth a climb in its own right. Mount Meru may be known as the little brother to Kilimanjaro but it’s still the fifth highest mountain on the African continent. 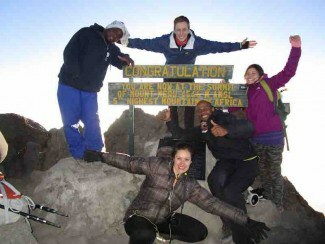 Come Mount Meru trekking with Viva Africa Tours for an experience you will never forget! 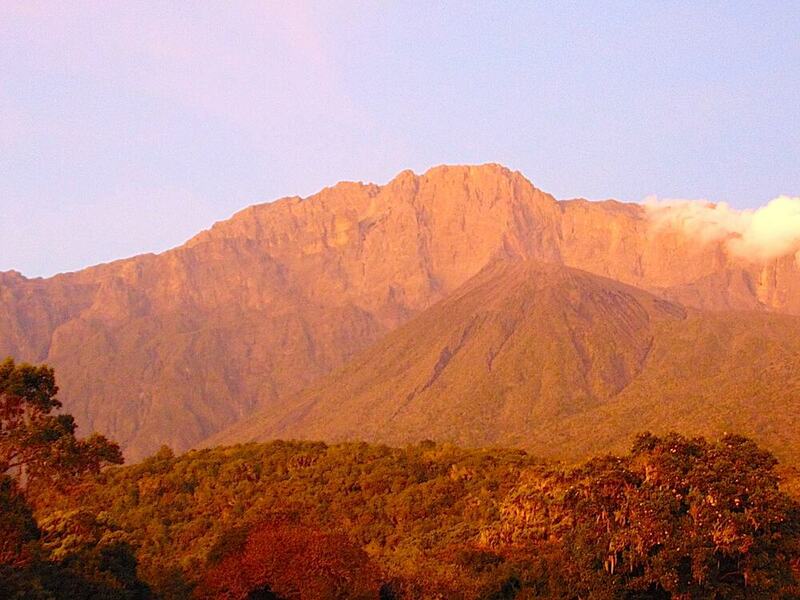 While Kilimanjaro is taller and more famous, Mount Meru arguably still offers trekkers an amazing experience. Mount Meru trekking takes you through different landscapes and offers its’ own stunning vistas, and really, this mountain cannot be considered small! At 4,565 metres high, Meru is an imposing active stratovolcano that lost its whole eastern wall during a massive explosion some 8,000 years ago. With a large mass of the volcano blown away, Mount Meru was given its impressive horseshoe crater that is still one of its most talked about features today. The steep slopes mean that Mount Meru trekking is far from easy, and with the added distraction of the altitude, the trek becomes even more challenging. The trek to the top of Mount Meru takes 3 to 4 days, and with our two trekking options you can decide whether you would like to tackle Meru at a fast or slightly slower pace. Centered in the heart of Arusha National Park, Meru watches over the park’s impressive flora and fauna, as well as the nearby city of Arusha. Mount Meru’s fertile slopes rise above the surrounding savannah and are home to a variety of wildlife, including nearly 400 species of birds, but also buffalos, leopards, giraffes and different species of monkeys, such as baboons and colobus monkeys. The opportunity for spotting wildlife in its natural habitat is of particular appeal for anyone considering Mount Meru trekking tours, and, for your own safety trekkers will be accompanied by armed rangers at all times just in case the wildlife comes a little too close. The climb to the top of this volcano is a fantastic one that leads us through many different vegetation zones: from grasslands to thick and lush green rainforest, heath and moorland along the knife edge of the crater rim, and alpine desert. 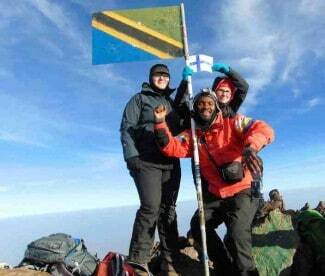 As Mount Meru trekking is often used as a way of acclimatising and warming up for the challenging trek up Mount Kilimanjaro, we are pleased to offer combination treks of both Mount Kilimanjaro and Mount Meru. Whether you choose to trek Mount Meru on its own or in combination with Kilimanjaro, Meru will enthral with it stunning vistas of its surroundings and views of its big brother, Mount Kilimanjaro, to the east. Mount Meru can be trekked all year around, though the best time to tackle this mountain is during the dry season, from June to the beginning of March. If you’re considering a Mount Meru trekking tour during November or December you should expect occasional rains during these months. For the best views of the snow-capped rooftop of Africa, Mount Kilimanjaro, we recommend planning your Meru trek for January or February.